Engaging in a conversation about fixing what is wrong with managing state or local infrastructure projects could be potentially dangerous for your career, depending on where you are sitting at the table. Your opinion on the topic, coupled with your scope of influence related to the project, can add contention to the conversation. 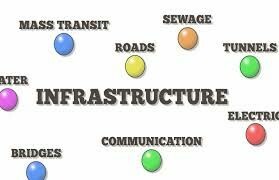 There are a variety of reasons for problems that occur with infrastructure problems. However, it is the responsibility of management to identify these problems as early as possible in the process to prevent disasters from occurring. According to Vicki Elmer and Adam Leigland, in a 2014 Berkley Planning Journal article titled “Infrastructure planning and finance: A smart and sustainable guide for local practitioners,” over the past decade, local, state, federal and international entities have stressed the deteriorating state of infrastructure in the United States. While funding has often been named as the culprit, Elmer and Leigland also argue that the current failures in U.S. infrastructure can be attributed to a lack of coordination at the local, regional and national scales to ensure that infrastructure investments reflect the dynamic and interconnected nature of today’s society. Leaders at all levels of U.S. government are constantly looking for new mechanisms to generate revenue in order to mitigate funding gaps and properly fund all aspects of operating the government. As we continue to recover from the recession, many budget officers are still feeling the pinch in regards to appropriating funding for projects. What steps or processes are available for government leaders to address the funding shortfalls that many agencies are facing? Many tough questions will have to be answered in ordered to address the infrastructure issues. Yet, the answers to these questions can yield dividends for many organizations in regards to providing funding for infrastructure projects that are desperately needed. Top level leaders, budget officers, accounting officers and other members of the organization might have to make additional cuts in order to fund these necessary infrastructure projects, which include physical infrastructure and information technology infrastructure. In a 2015 Springer Open Journal of Infrastructure Complexity article titled, “The governance of local infrastructure funding and financing,” Peter O’Brien and Andy Pike note that since the 1970s there has been a shift away from integrated, bundled infrastructure networks toward specialized, privatized and customized products. The result being that infrastructure, which was previously viewed primarily as “a public good,” has now been opened up to private and quasi-state owners embedded within global flows of finance. Keeping in line with the suggestion of O’Brien and Pike, many governments have been establishing relationships with private sector organizations in order to accomplish infrastructure tasks or to outsource specific services. Soliciting private sector organizations and nonprofit sector agencies to work with government organizations can be a win-win. There are plenty of examples that illustrate this point, like when local governments outsource their waste management services or their custodial services. Another example might be when a state department of motor vehicles partners with a private agency to issue out license plates and other related vehicle registration services. Partnering with private sector and or quasi-state owners allows government agencies to pass on a portion of the infrastructure costs. This allows the government to then divert funds not spent on infrastructure costs to other areas within the organization that need the funding. We should keep in mind that partnering with private sector or quasi-state entities is not the complete solution when attempting to overcome funding deficits in regards to infrastructure projects. However, it is another tool that government leaders can use to address infrastructure funding short falls. Government leaders also need to examine some other issues in regards to infrastructure projects that can lead to funding issues. These issues include staff shortages to work on the projects or other delays such as information technology problems. These type of challenges will end up costing the agency more money and ultimately will harm the project. Author: Jeffrey R. Zimmerman Ph.D. in Public Policy and Administration from Walden University. I am currently serving as the Director of Processing Services within the NC Division of Motor Vehicles. I am also an adjunct professor with Strayer University teaching various courses in the MPA program. I can be reached via email at [email protected].